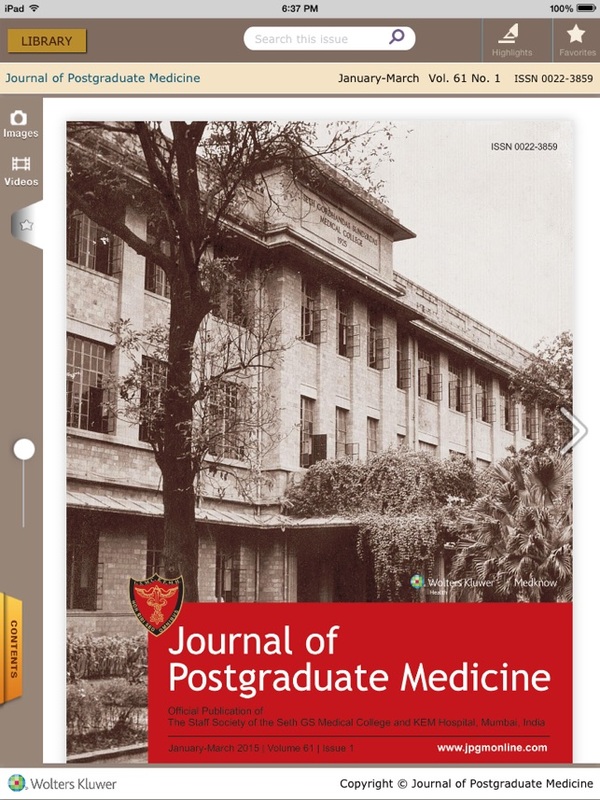 Journal of Postgraduate Medicine (Print ISSN 0022-3859, CD ISSN 0972-2823), a multidisciplinary Quarterly biomedical journal, is one of the oldest medical journals from India. 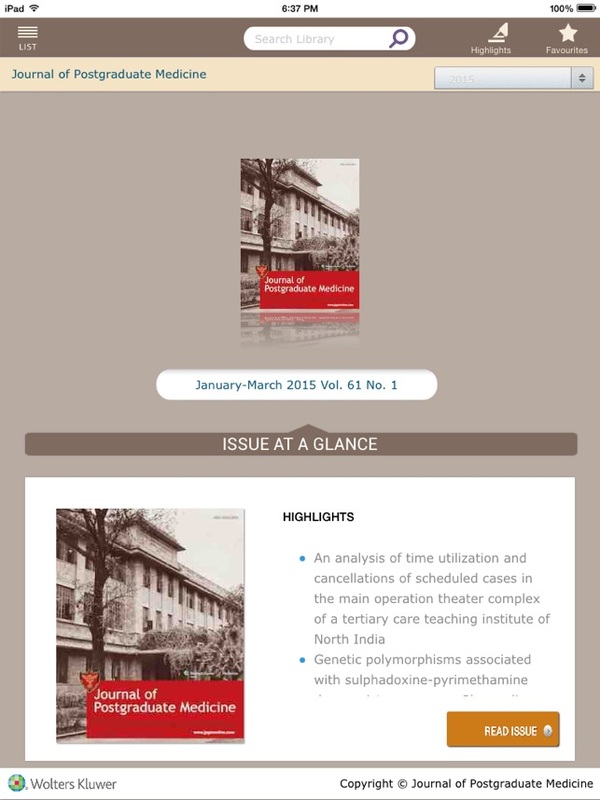 The journal is official publication of the Staff Society of Seth G. S. Medical College and K. E. M. Hospital, Mumbai, India. 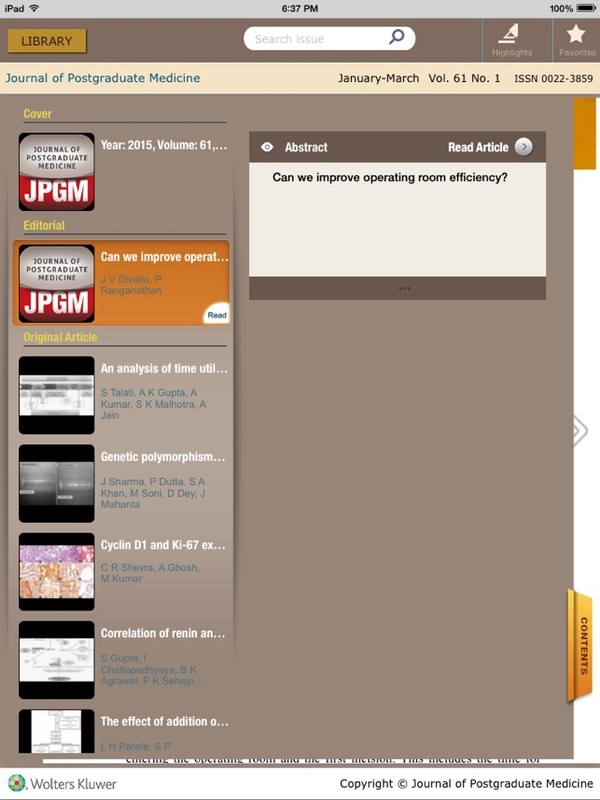 The journal is published, managed and funded by Medknow Publications, Mumbai, India. 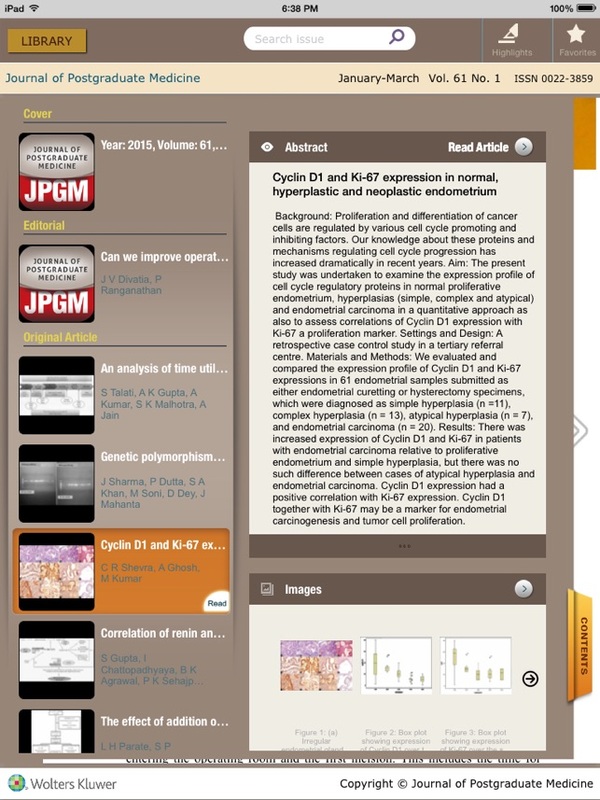 The Journal promotes published papers by electronically supplying the records to the National Library of Medicine at the time of online publication, making it sure that the citations are retrievable from MEDLINE as early as possible. 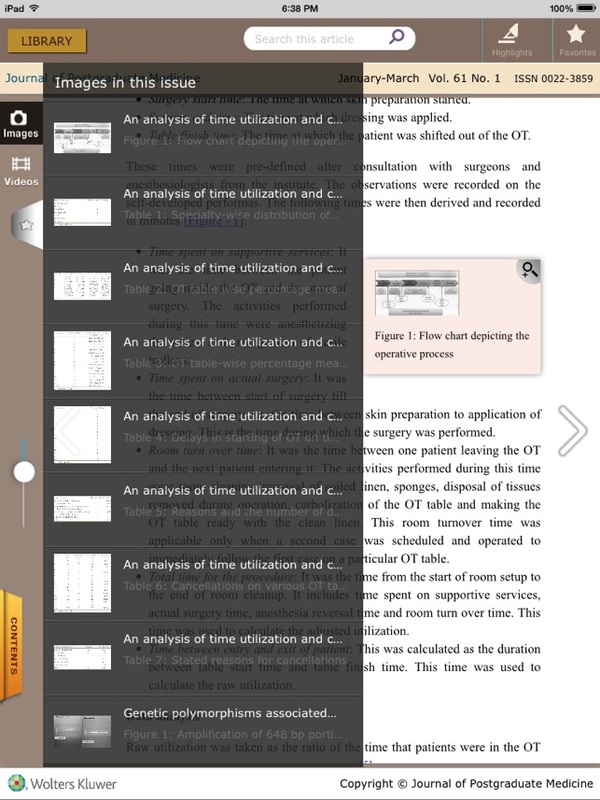 Similarly, the citations in MEDLINE are cross linked from the official site of MEDLINE to the journal's site, thus the readership of published articles is increased many folds.